Bockheim JG. Proposal to study economic and environmental benefits of reducing soil erosion in Albania. Land Tenure Center, University of Wisconsin, Madison USA; 1997. Borah DK, Bera M. Watershed-scale hydrologic and nonpoint-source pollution models. Review of mathematical bases. Trans ASAE 2003; 46(6):1553–66. Campbell N, D’Arcy B, Frost A, Novotny V, Sansom A. Diffuse Pollution: An Introduction to the Problems and Solutions. London: IWA Publishing; 2004. Fread DL. Flow routing. In: Maidment DR, editor. Handbook of Hydrology. New York: McGraw-Hill; 1993. p. 10.1–10.36. Grazhdani S. Albania, in: Soil Erosion in Europe (eds Boardman J and Poesen J), John Wiley & Sons Ltd, Chichester, UK. 2006. Kovacs AS, Honti M, Clement A. Design of best management practice applications for diffuse phosphorus pollution using interactive GIS. Wat Sci Tech 2008; 57:1727-33. Liu YB, de Smedt F. WetSpa Extension: A GIS-based Hydrologic Model for Flood Prediction and Watershed Management, User Manual. Brussels: Vrije Universiteit Brussel; 2008. Liu ZJ, Weller DE. A Stream Network Model for Integrated Watershed Modeling. 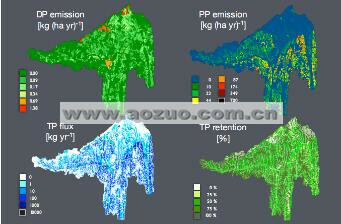 Environ Model Assess 2008; 13(2):291-303. Neitsch SL, Arnold JG, Kiniry JR, Williams JR, King KW. 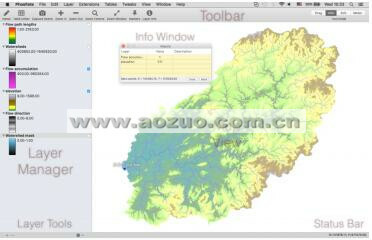 Soil and Water Assessment Tool. TWRI Report TR-191. Temple USA: Agricultural Research Service; 2002. Novotny V. Diffuse Pollution and Watershed Management. Hoboken USA: Wiley; 2003. Ritter WF, Shirmohammadi A, editors Agricultural Nonpoint Source Pollution. Boca Raton USA: CRC Press; 2001. Strahler AN. 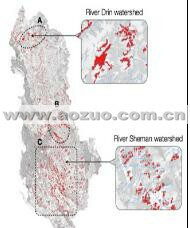 Quantitative analysis of watershed geomorphology. EOS T Am Geophys Un 1957; 8(6): 913–20. Vollenweider RA. Advances in defining critical loading levels for phosphorus in lake eutrophication. Mem Ist Ital Idrobiol 1976; 33:53-83. 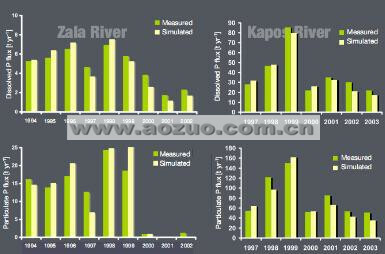 Vollenweider RA, Kerekes J. Eutrophication of waters. Monitoring, assessment and control. OECD Cooperative programme on monitoring of inland waters (Eutrophication control), Paris: Environment Directorate, OECD; 1982. p. 154. White DW, Smith RA, Price CV, Alexander RB, Robinson KW. A spatial model to aggregate point-source and non-point source water-quality data form large areas. Comput Geosci 1992; 18(8):1055-73.